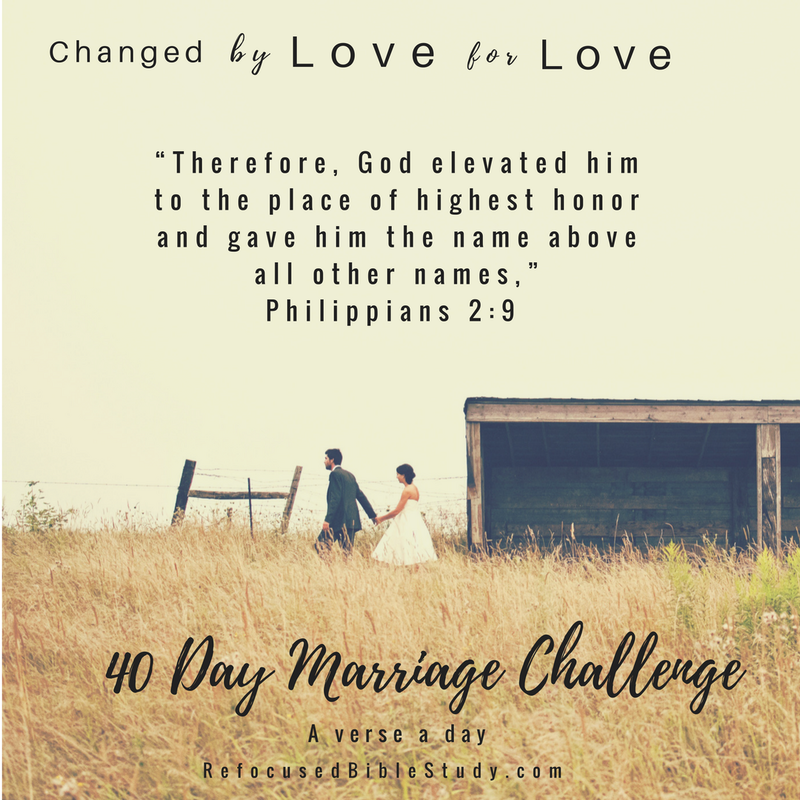 It’s Day 17 of the 40 Day Marriage Challenge here at Refocused Bible Study. O – observations – Jesus humbled himself in obedience to the Father, and therefore, God exalted Him. V – Verse’s implications for marriage- Are we following Jesus in humility in our marriage? This is so hard, I can attest to it this week. I dropped my phone into the bathtub, and it started a wave of stress. (Who can live without a phone in 2017?) Apparently, it’s possible, because I just did, for four days. Yes, I survived. Survived, yes. Passed God’s test of humility and acting like Jesus in the process; fail. Sisters, I mean I failed with flying colors. I could not take it when my husband very gently said something about being more careful next time! So what is our next step in the process when we mess up and don’t act like Jesus? We praise Him for dying for us and giving us another chance. We rise up off our knees in repentance and ask Him and our husband to forgive us, and we walk forward. E – Ending prayer – Lord, please bless the marriages represented reading these words. Be glorified and lifted high above any other name. May your name be known through our marriages. When people hear our last name, representing us as a couple, may they quickly associate us with the name of your Son, Jesus. May our marriages be known in our sphere of influence as a couple who has built a life on your Word. Be lifted high in and through our marriages, in Jesus’ name, Amen.